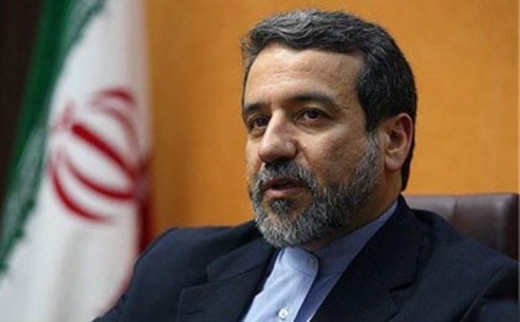 Iranian Deputy Foreign Minister for Legal and International Affairs Abbas Araqchi hailed Russia’s continued contribution to implementation of the July 2015 nuclear deal between Iran and world powers. Araqchi, who is in Moscow for an official one-day visit, met with his Russian counterpart Sergey Ryabkov on Wednesday. During the meeting, also attended by Iranian Ambassador to Russia Mehdi Sanaei, the two sides underlined continuation of mutual cooperation in international issues, including implementation of the Joint Comprehensive Plan of Action (JCPOA), peaceful nuclear collaborations, nuclear disarmament, and the issue of Syria. They agreed to continue bilateral talks on the JCPOA and disarmament at the expert level. Ryabkov in this meeting stressed the need for international cooperation to create a nuclear-free Middle East and more coordination between Russia and Arab countries in this regard. Araqchi, for his part, thanked Moscow for its continued cooperation in enforcing the JCPOA. Iran and the Group 5+1 (Russia, China, the US, Britain, France and Germany) started implementing the nuclear agreement in January 2016. Tehran and Moscow work in close cooperation in the nuclear industry, and have increased contacts after coming into force of the JCPOA. They have also formed a strong alliance in recent years, with both supporting the Syrian government against foreign-backed militancy.